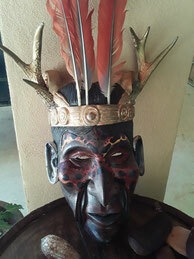 1500 BC - Present Day - - Boruca, indigenous of Costa Rica. This information was gathered from several websites, mainly from the National Museum of Costa Rica and from Wikipedia's information on the various Spanish explorer's. To my knowledge it is as accurate as possible. It is writen in different segments, as these are articles for the local magazine, sorry for any repeated information. The Diquis delta which is located just south of the Costa Ballena, is one of the most important deltas of Central America from both the biological and cultural perspective. We will discuss the cultural aspect. Diquis in the native dialect of the Teribe (Terraba indigenous) means “great water”. The Valley of Diquis is bordered to the north by the Grand Terraba river (the largest in Costa Rica), to the east by the Talamanca mountains, the Osa peninsula to the south, the Bay of Coronado to the west on the Pacific, (named for the Spanish explorer Juan Vazquez de Coronado 1563), and at the heart of the delta, is the Rio Sierpe. Archeologists have found evidence of this area being populated as far back as 1500BC. From 1500-300BC there was just basic tribal living based on family relations of kinship. From 300BC-800AD there began gradual changes to chiefdom organization with the presence of a chief, religious leaders, specialized artisans and stronger territorial divisions and exchange networks. From 800AD until the Spanish arrived in 1500, villages increased in size and complexity. 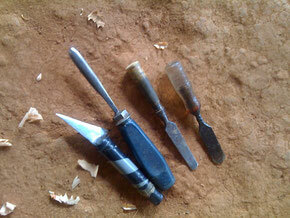 Ceramic, bone, gold and stone objects were manufactured as expressions of power and status of the ruling groups. Sculpture reached its greatest development during this period, featuring the stone spheres placed in important zones of the village reinforcing the power of religious and political leaders. On a sub-regional level an entire communication system permitted the exchange of products from the coast to the high lands between the different extended chiefdom communities using the Terraba river and its tributaries covering over 900 hectares. Hence, both the Boruca (Rey Curre) and Terraba indigenous became dugout canoe builders, traversing the grand river with crops and animals, and to the Pacific coast where the Borucans gathered the murex seasnail for their purple dye. 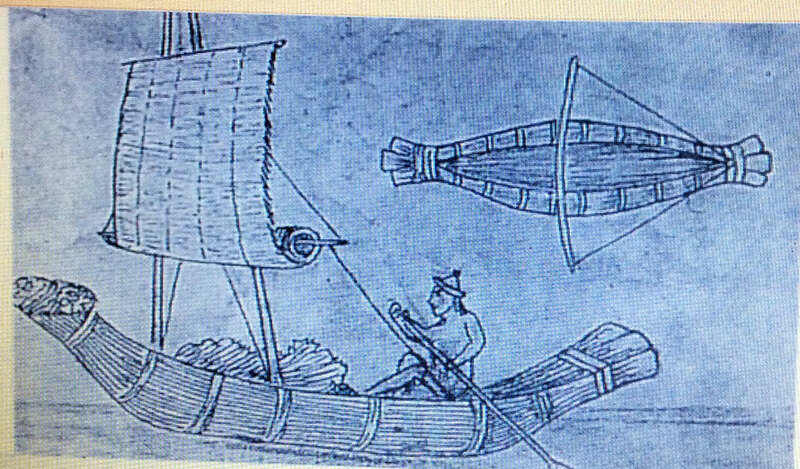 The canoes were seaworthy, which will become very valuable with the arrival of the conquistadors. 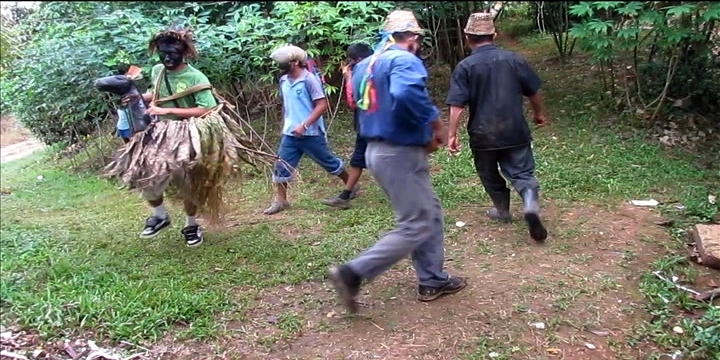 Very hard chapters are known of the Boruca people's history. They were successful in keeping their territory by scaring the conquistadors away by wearing devilish looking masks, however the Spaniards conquest of Costa Rica was of long duration, the Conquistadors did not give up! 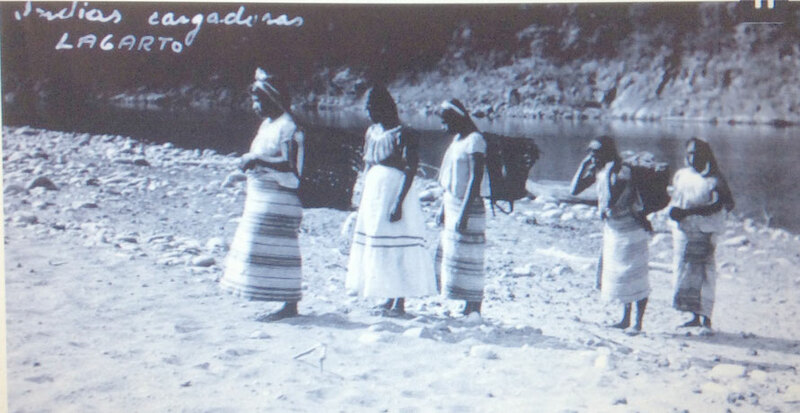 The Diquis region (southern border of Costa Ballena), became an important gold mining center, a fact that brought raids and warfare with other indigenous groups. Columbus reported back to Spain that he had found a land rich in gold, hence further explorations to this area. In 1506, a ship of colonists led by Diego de Nicuesa landed, the local indigenous tribes burnt their crops. More explorers continued to arrive. 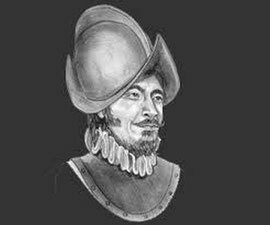 In 1522 the Spaniard, Gil Gonzalez Davila explored the interior starting in the Gulf of Nicoya with over 100 men, traveled to Burica point, (the southernmost point of Costa Rica), where the Spaniards received collaboration from some indigenous chiefs, and the indigenous were made slaves. The first settlements failed. Spain then to attract new settlers to the struggling colonies established a program called “encomienda system”- this was a estate given to a settler who received legal rights to use local native people to work the land, unpaid. In 1561, the first successful settlement was established in the Central Valley by explorer Juan Vasquez de Coronado, this was Cartago, which became Costa Rica's first capitol and he became the first governor; he was one of the most relevant characters of Costa Rican history. Coronado made peace with a local Indian chief, who persuaded several other chiefs to cooperate with the Spaniards. Despite this agreement many of the remaining tribes fled from the valleys and coasts into the nearly inaccessible Talamanca range. In 1601, Gonzalo Vazquez de Coronado, (son of Juan Vazquez) officially opened “the Camino Real” ,or also known as the Camino de Mulas, (the Mule Road), which connected Guatemala with all the provinces as far as Panama. Mules, precious cargo carriers, were raised in the Central Valley and used for transporting goods were driven all the way to Panama, which had become the transit route for precious metals from South America to Spain. The teams of mules would pass thru the indigenous villages of Quepo, Boruca and Terraba. By 1629 The Borucans were “reduced” under Spanish dominance, as the natives were transformed into muleteers and providers of tributes for the Spanish, especially corn, beans, textiles, dyes of textiles and boat construction. .Founder of Cartago and first Governor of Costa Rica.
" The roughest mountains I have ever seen. Intolerable conditions of hunger and thirst slowed our attempts to slice narrow pathways, and to climb and descend great peaks, so cavernous and drenced in rain that the sight of the sun was a marvel." On the return journey to spain to get his official title of Governor, his ship was lost. His son Gonzalo, was later the governor also. Gonzalo was the builder of the "Mule road", an important route linking the central valley of Costa Rica with Panama. Black slave trade was common in all the Spanish colony's. Around 1580 -1600 African slaves were imported to Costa Rica, as the indigenous Indians were not reliable, the Spaniards never knew when there were to be an uprising, or if they would just escape into the rugged Talamanca mountains. The black slaves were used as muleteers, when Governor Gonzalo Vasquez de Coronado (son of Juan Vasquez), in 1601 officially opened the “mule road” from Cartago to Panama, a journey of roughly 25 days. The journey passed thru the indigenous villages of Quepo, Boruca, and Terraba, where the travelers were supplied with food and indigenous muleteers. There became interbreeding between the Blacks and the Indigenous, the children were then known as Mestizo, a person who had a dual cultural heritage and descent. As a tradition in Boruca, especially at Rey Curre on the shores of the Terraba river, is the “Baile de Los Negritos” or also referred to as “La Mura”. Mura is the Mestizo name for Mule. With their charcoal-lined faces, hats made from palm leaf and adorned with feathers and animal hides of their natural environment, the Dance of the Negritos, is a tradition that represents a mixture of merging between Boruca and religious Catholicism. It begins every December 6 at midnight till dawn dancing to the rhythm of the drum, flute and accordion. The participants dance in the form of a circle and suddenly in a linear way, a style that they handle in a very coordinated way. At dawn on December 7 and 8, the Negroes start their tour of the town; when they arrive at each house, the black faces dance non-stop for about five minutes and the mule - made of wood and painted also in black - is handled by one of its participants and during its performances it also makes movements like the others of the group. The Negritos dance in silence and only occasionally emit a mule-like sound braying. Then the game stops and the participants express themselves in a language exclusive to this tradition, (that of the Mestizo culture), “Chiñola, Chiñola, la mura tiene ched, chí, tiene ched”, which in english would be, Señora, señora, the mule, He is thirsty, yes he is thirsty. This request makes the hosts of each house that receives these Negritos give them chicha (a fermented alcohol), and tamales. 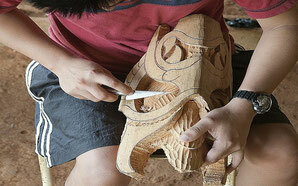 In past times, this tradition had a closer link with the religious activities of the community. On every December 8, the community of Boruca celebrate the feast day of their patron saint, the Virgin of the Immaculate Conception with the costumed dances, the mule and traditional music, which distill cheerful and harmonious sounds. 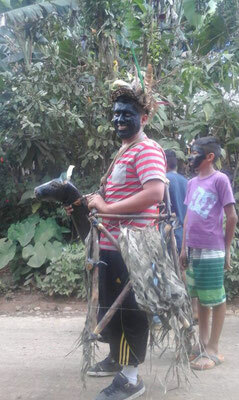 At present, the Baile de los Negritos does not gather as many followers as the Danza de Diablitos, but the whole community recognizes it as a tradition that reminds them of the past hard history; unfortunately, it faces the risk of extinction, despite being an element that helps to identify and differentiate the Borucans in Costa Rica.